It's recap week, day 2! And today we're cooking up for you our best soup and stew recipes. When I did my digging for this post, I was incredibly surprised by the number of slurp-able posts I spooned up. 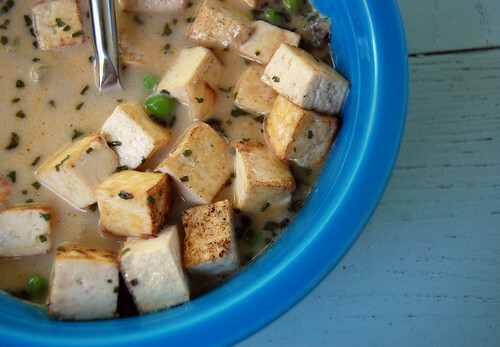 Basically: We love soups because they're easy to create and oh-so satisfying. Just add some slices of your favorite bread and a small salad, and you've got yourself a filling meal. We'd love to know what your favorite soup and/or stew recipes are, too. If you have one on the tip of your tongue, just leave us a comment or email us at neverhomemaker [at] gmail [dot] com. Full of thai spices, this soup is a crowd pleaser, ever for pick eaters! What's for Dinner? Coconut Soup. We had never before cooked with the ugly, bruised veggie before. And now we're hooked on this Rutabaga-Carrot Soup. I made this soup thinking of my best friend Lindsey, who loves her brussels sprouts plain. 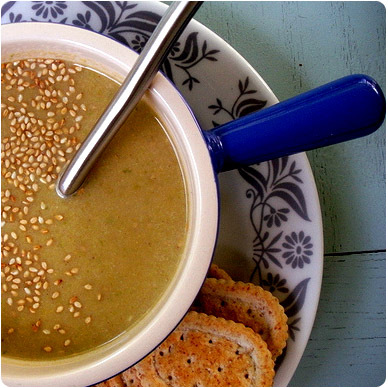 If you're not too keen, try out this Brussels Sprouts Soup. Have only a little time? No problem. Check out this tasty and fast Veggie Noodle Soup: Dinner in the Flash. It doesn't need to be autumn to enjoy a heaping cup of Pumpkin Soup. One of our new favorites is this Thai Sweet Potato Stew -- full of fragrant spices and surprising flavors. Can't get enough coconut milk? Then you're just like us. Try some Easy Thai Mushroom Soup, you won't be sorry! 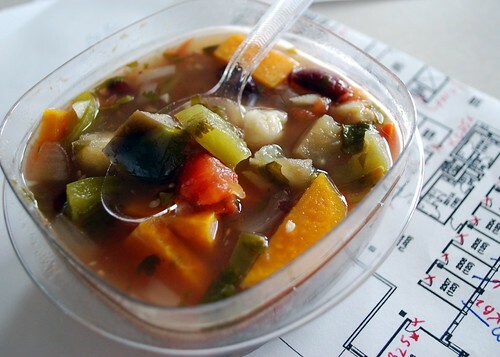 Awesome work-week recipe that lasts for days: Slow-Cooker Rainbow Stew. Boom boom POW. Gotta get-get. Gotta get-get some Black-Eyed Pea Stew. Yeah. This combination certainly sounds weird -- but give it a chance! Coconut-Cranberry Stew. Sometimes we can all use a little cleanse. This Detox-Friendly Miso Soup is the perfect way to eat well and feel healthy.